Agar is a nutritious food to have in your diet (magnesium, calcium, manganese & iron) and has many beneficial effects. It contains no sugar/fat/calories/cholesterol and is low in sodium. Rich in fibre, Agar is soothing for the digestive tract and cleansing, also mildly laxative. 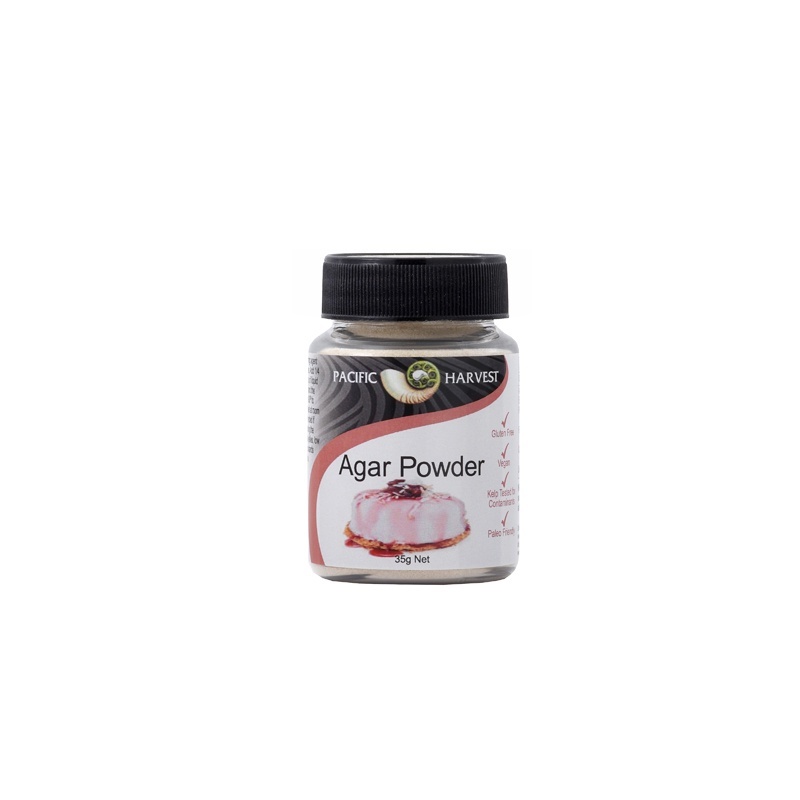 Agar powder is a natural gelling agent from seaweed. It is the perfect vegetarian substitute for gelatine & is easy to use. Agar is flavourless, odourless and colourless, so very versatile! Agar can be used to make ‘raw’ dishes. It has no calories and great nutrition; the powder form yields the best results.